More than two years ago, the Gotham Philosophical Society was established with the aim of helping New Yorkers to become “members of a thriving community rather than a mere collection of individuals,” and to ensure that they “reap the rewards of diversity rather than be repelled by the rancor of division.” Today, as we emerge from a presidential campaign that painfully revealed how far our nation stands from realizing these goals, we rededicate ourselves to achieving them for our city. We maintain that the most profound questions we face—about life, love, family, health, education, work, authority, responsibility, and death—are not technological or scientific in nature, but philosophical. They are the sort of questions that can be adequately raised and answered only by a community in conversation with itself, for it is only in wrestling with these questions that a community comes to be what it is. Every community—indeed, each new generation of a community—must answer the central questions of living for itself if it aspires to being responsive to the needs and encouraging of the aspirations of its members. And they must answer them well—not correctly, but well: in a manner that enables that particular community to thrive at that particular time. Every community is, ultimately, unique. New York is neither New Orleans nor Nashua, New Hampshire. The challenges facing a city as large as New York, a meeting point for so many disparate perspectives, are considerable. But while we lament the yawning divide in our nation, we are heartened by the willingness of today’s New Yorkers to make our city whole; a willingness that is perhaps greater today than at any moment in our city’s history to make New York a proper home for all is people. So it is with genuine enthusiasm and optimism that we again ask this great city’s artists, activists, community leaders, policy makers, and in particular its prodigious collection of philosophers—men and women who have been called to a life of contemplating the fundamental questions—to join with your neighbors in the pursuit of a just, nurturing, thriving, open, and welcoming New York, for ourselves and for our children. Let us talk, debate, critique, and collaborate. Let us alter each other’s perspectives so that we see ourselves in a new way. Let us pool our wisdom and watch it multiply, and let us never rest content with being a thinking city, but always strive to become a thoughtful one. 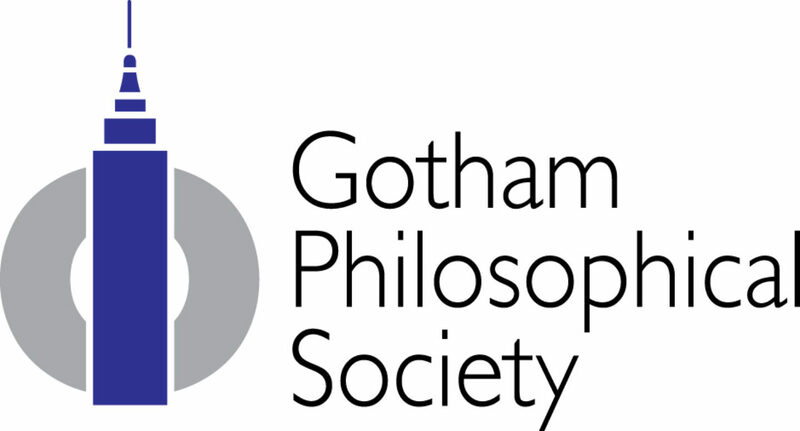 Gotham Philosophical Society, Inc. is a 501(c)(3) with the mission to use the critical rigor and creative imagination of the best philosophical thought to transform the civil, political, and educational institutions of New York City. Our two-fold aim is to facilitate the rethinking of New York so that it benefits of all its citizens, and to prepare our children to lead this new city into the future. ©2019 Gotham Philosophical Society, Inc.